From the longest arm of the law to the shortest, the popular SpecOps Stock™ is instantly adjustable to fit any shooter. With over 4 inches of adjustment, this is a stock that the entire department can use comfortably in any application and with any load. 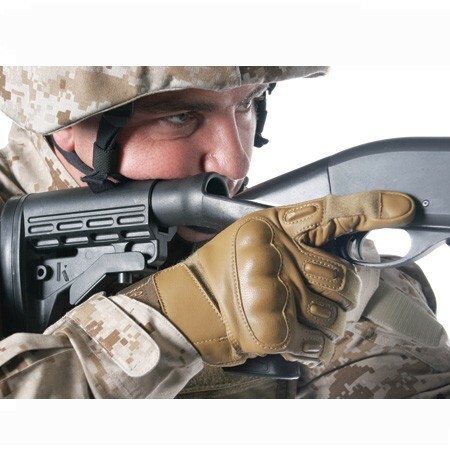 This patented Knoxx recoil-reducing stock will revolutionize the way you think about shotguns. Utilizing dual Knoxx recoilcompensating systems, the SpecOps Stock™ has the ability to reduce felt recoil of even the most potent loads by up to 95%. The SpecOps Stock™ makes even the heaviest loads easy for all shooters to handle! Designed to fit any and all shooters, and practically devoid of recoil, the SpecOps Stock™ is the most popular of the Knoxx line of recoil-reducing products. Not only is it utilizing two recoilabsorbing mechanisms to soak up recoil, it also adjusts to fit any shooter regardless of the situation or application.